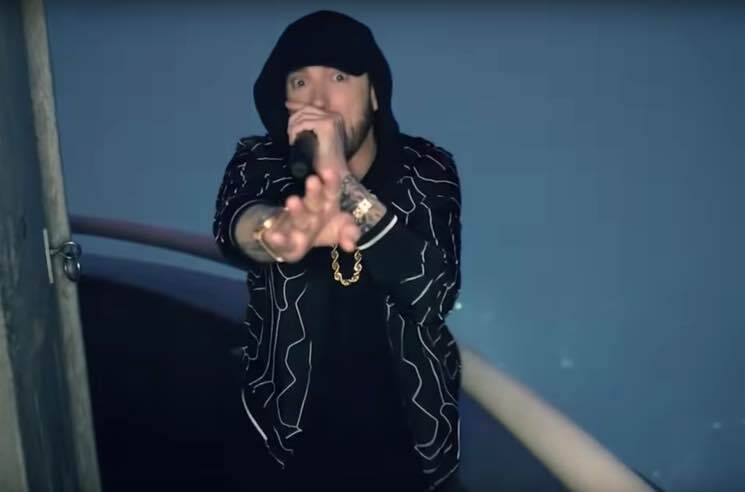 Eminem tacked his Venom soundtrack cut "Venom" on to the end of his latest LP Kamikaze, but now he's taken the song to new heights. The rapper performed "Venom" last night (October 15) at the top of the Empire State Building in New York. The performance aired on Jimmy Kimmel Live!, and features a mid-song skit that hears Em spouting facts about the iconic skyscraper. Check out the sky-high helicopter-shot performance below.